Somerset, NJ – September 2, 2015 – LabVantage Solutions, the leading global laboratory informatics provider, today announced the general availability of LabVantage Pharma for the Indian market. LabVantage Pharma is a pre-validated, preconfigured pharmaceutical LIMS. LabVantage Pharma provides the fast growing Indian pharmaceutical industry with a way to comply with USFDA regulations as well as improve lab efficiency. Pharmaceutical companies need a Laboratory Information Management System (LIMS) to improve quality, stay compliant with regulations and increase efficiency. 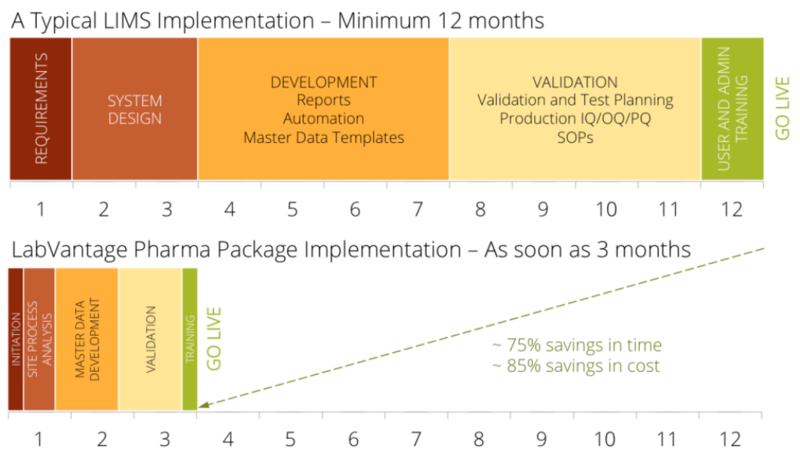 Traditionally, LIMS implementation has been long and expensive. LabVantage is the first company to introduce a pre-validated, preconfigured LIMS that can be implemented in as little as three months. LabVantage Pharma provides laboratories with a pre-validated solution according to GAMP 5 guidelines. Laboratories with limited resources looking for a cost effective, FDA compliant LIMS solution will find LabVantage Pharma ideal. Dozens of labs in the United States and Europe have already implemented LabVantage Pharma. Piramal Enterprise Limited (PEL), one of the leading players globally in CRAMS (custom research and manufacturing services) is one of the early adopters of LabVantage in India. With LabVantage in place, PEL is manufacturing products for the global market while staying compliant with FDA regulations. LabVantage Solutions, Inc., the leading global laboratory informatics provider, is headquartered in Somerset, NJ and has offices around the world. LabVantage maintains a significant presence in India where the Kolkota office is home to over 100 developers and staff members. Their industry-leading solutions and world-class services are the result of 30+ years of experience in laboratory informatics. 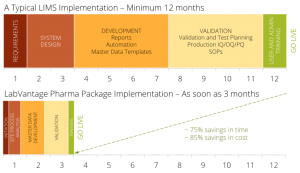 LabVantage offers a comprehensive portfolio of products and services that enable companies to innovate faster in the R&D cycle, run labs more efficiently, improve manufactured product quality, achieve accurate recordkeeping and comply with regulatory requirements. LabVantage serves thousands of labs across the globe from industries such as pharmaceutical, biotech, food & beverage, chemicals, CPG and more. LabVantage is a highly configurable, web-based LIMS that powers hundreds of laboratories globally, large and small. Built on a platform that is widely recognized as the best in the industry, LabVantage can support thousands of users as well as interface with instruments and other enterprise systems. It is the best choice for industries ranging from pharmaceuticals and consumer goods to molecular diagnostics and biobanking. LabVantage domain experts advise customers on best practices and maximize their ROIs by optimizing LIMS implementation with a rapid and successful deployment. To find out more, visit https://www.labvantage.com.